Travel to India is a bucket-list item for many people. It’s an incredible destination with opportunities for unique encounters with art, food, architecture, transportation, geography, culture and spirituality. No matter your experience, a journey to India is bound to broaden your perspective. Whether you’re planning a trip to India or just want to learn more about the country, join us Friday to hear an experienced traveler’s first-hand account of her recent expedition there. 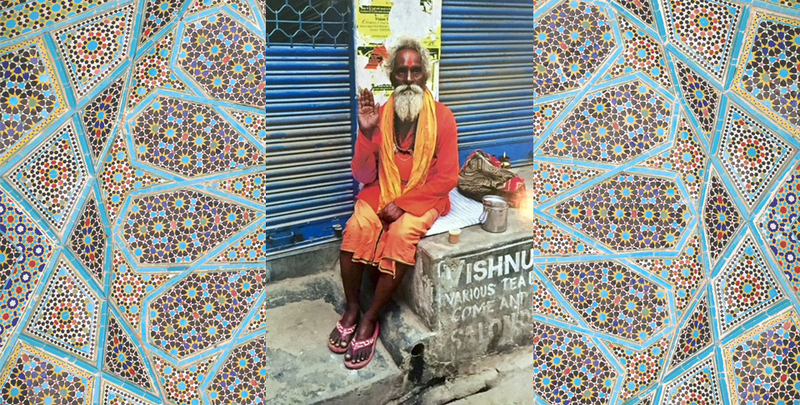 Beth Arnold, a member of The Floating Lotus’s Yoga community, undertook a solo, 3½-month retreat to India beginning in April 2016, a trip she calls “My Passage to India.” Her trek began at an ashram outside Dharamsala — the current home of the Dalai Lama and the exiled Tibetan government — and concluded at Bangalore’s Jindal Naturecure Institute, a hospital that practices drugless healing treatments. In between, Beth participated in a silent retreat at the Tushita Meditation Centre; made a pilgrimage to Varanasi, on the banks of the Ganges River; and journeyed to the holy city of Sarnath, where Buddhism is believed to have been founded in 528 BCE. Throughout her travels, Beth discovered antique Tibetan jewelry, soft pashminas, sacred thangka paintings and other examples of exquisite craftsmanship. She brought many of these items home with her, to share with others who would appreciate their design and beauty. We are thrilled that Beth has chosen to begin telling her story — and selling some of her delightful finds — at The Floating Lotus. She’ll share with us her reasons for undertaking this adventure and impart advice on planning your own journey. Beth Arnold is a journalist and award-winning writer whose work, both print and online, has been recognized by her peers. She has written for Rolling Stone, GQ, InStyle, Self, American Way, Premiere and Mirabella. Online, she is a blogger for the Huffington Post and has written for Salon.com, Vogue.com and Marco Polo Quarterly. Her favorite topics are travel, politics, culture, the media, people and art and design. All are welcome to attend her free session of stories discussion on Friday! Please sign up online to reserve your seat.